Watching Mukhomukhi can be an exhausting experience as it tests the patience of the audience a great deal. Kamaleswar Mukherjee’s Mukhomukhi experiments more with the form than the content. 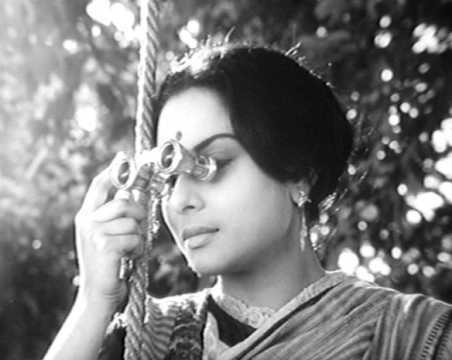 In an attempt to lend a deconstructive structure to the film, Mukherjee has taken help of the Brechtian form that breaks the fourth wall between the audience and a play. This kind of structure generally induces the audience to delve more into the subject of the stage production, rather than getting into the created illusion of the spectacle. However, Mukherjee’s film rather bores the audience with its repetitive tropes and its discourse-like narrative progression. Mukherjee has undoubtedly invested a lot of hard work and research to infuse certain motifs and tropes in the film that are mostly experienced on stage. There is only one theatre-like set in which all the characters gather from time to time and the story gradually unfolds. The content has multiple layers that deal with individualistic and societal delusions. 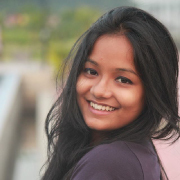 Esha (Gargee Roy Chowdhury) is an award-winning author. Her sailor husband (Rajatava Dutta) finds her ideas to increasingly becoming pessimistic and so her new novel. Esha confronts that the entire world is in such a state and therefore, she cannot really separate herself from the depressing milieu while writing as well. Shaunak (Jisshu Sengupta), the protagonist of her novel has had a mutual separation from his wife Anusuya (Payel Sarkar). Her colleagues (Padmanabha Dasgupta and Ushasie Chakraborty) land in his home, to inform him that his wife visited them and was willing to have a reconciliation. Shaunak, who works in a creative agency, spends his days like a depressed soul with his only friend alcohol. He believes himself to be an original musician and has his own idealistic notions about creativity and art. The film continuously goes back and forth to flashbacks and presents the gradual decline of their marital relationship. It shows how both Anusuya and Shaunak’s personal obsessions prevent them from coming to terms with the reality. At the same time, the content questions the credibility of art, ambition and love in the present world. Shaunak’s character has more grey shades that eventually get darker, as in his attempt to fulfil his own interests and not being able to cure his own frustrations he starts growing the evils inside him, unconsciously. While the gist of the subject of the film is mostly revealed through Shanuak’s character, in contrast, Anusuya’s character appears to be rather one dimensional. From a loving girlfriend (Darshana Banik), she suddenly turns into the embodiment of several obsessions. While Esha’s husband has the most idealistic profile, filled with optimism, Esha seems to be living in her own bubble. However, the director doesn’t really touch upon her character. 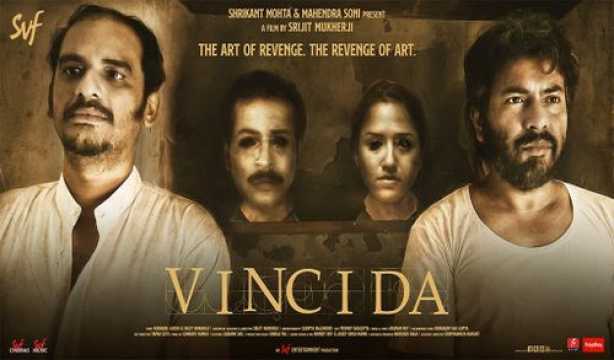 Though, a character of conscience, introduced by Esha’s husband in her novel, leads Shaunak’s story to culmination, Esha herself, doesn’t go through any kind of transformation till the end of the film. The character of conscience (Anjan Dutt) works as a mirror to Shaunak and pronounces the delusions that every single entity surrender to, believing them to be a part of reality. He says, he doesn’t have a name because he doesn’t believe in the concept of bearing a name given by somebody else. The film is heavy on dialogue and there are additional segments that run parallel and comment on all the beliefs, actions and ideas of all the characters and the surroundings they cannot alienate themselves from. Hence, at times, it seems that too many things are happening at the same time and some of them, including the one where Esha confesses her adultery to her husband, seem redundant. In the beginning, Esha’s glorification as an author is heavily emphasized which is carried nowhere in the later parts of the film. Also, when Dutt’s portraits reveal the inner demons they take the shape of the faces of several animals. In this case, fox is probably justified, but the rest make no sense. Jisshu Sengupta mostly puts up a decent act as the self-obsessed musician, but he is hardly seen singing or engaging in music. Payel Sarkar, in an attempt, to bring alive the mechanical approach of her character, turns expressionless. 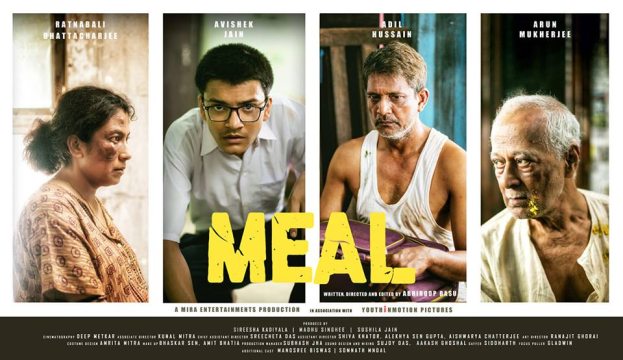 The rest of the actors, including Rajatava Dutta, Gargee Roy Chowdhury, Darshana Banik and Saheb Chatterjee deliver average performances. Anjan Dutt shines as the voice of conscience with his usual relaxed act. Needless to say, the editor and cinematographer Shubhankar Bhar had major roles to play in translating Mukherjee’s entire concept on to the screen. Debajyoti Mishra’s music thoughtfully detaches the audience from several sequences, which remains one of the primary objectives of the film. At times, the film seems to be never ending and in order to emphasize on the form, Mukherjee loses the balance in delineating all the characters, barring Shaunak. While the primary objective of the film is supposed to be leading the audience into introspection, the film rather becomes predictable as it solely focuses on the journey of the protagonist.